The beauty and tranquility of Lake George has inspired poets for centuries. The clear lake waters, trapped within a narrow basin surrounded by magnificent mountains, commonly engender awe and inspiration in the observer. 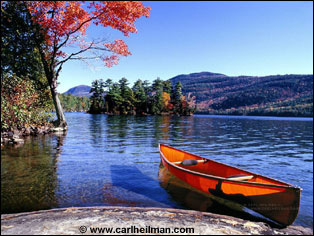 Lake George's beauty stirs our emotions, excites our affections and swells our passions. Year after year the lake captivates its visitors, enchants its residents and encourages its artists. Its charm and charisma have made Lake George one of the most endeared bodies of water in the world and her writers have done her justice. As folks read the poetic pieces in this anthology, they can appreciate the love and passion that existed between the lyricist and the lake. Each poet expresses his or her special relationship with the lake to the reader. Some of the poems express solace in time of sorrow others impart inspiration in days of darkness, while still others bring smiles to dispassionate faces. All of the Lake George poetry brings indescribable pleasures that make us feel good about life in this wonderful setting. Three different forms of poetry are found in Poems of Lake George: Prose and Poesy. Poetic verse is the form most often considered poetry by the layman. Verse quickly and effectively transcends our feelings and emotions and raises our prurience. The poetic prose about Lake George, on the other hand, is effective in raising our passion for the lake. Many poets believe that, while a greater height of passion can be reached with prose, it takes a longer time to do it than with verse. The narrative poetry about Lake George is distinguished from the other two in that it connects a series of events and, therefore deals primarily with actions, rather than thoughts or emotions. Poems of Lake George: Prose and Poesy is divided into three chapters. The first chapter presents poetic verse and prose about Lake George itself. The second focuses on areas around the lake starting in the southern region of the basin and continuing to the northern reach of the lake. The third chapter sites a series of epic poems that relay fact or fancy on the lake. Although all of the poems in this text were composed over the last three centuries, the majority of the works found in this volume were created at the turn of this century. This is most likely due to the large population of lyricists writing about the lake at the time and the extreme popularity that Lake George was experiencing at that end of the nineteenth century. The selection of poems in Poems of Lake George: Prose and Poesy is comprehensive. After each poem the author and date of writing is given. No poem was omitted solely because of its phraseology or its narrative length. However where a narrative poem encompassed matter both on and away from Lake George, only the portion about the lake is presented. To love our Lady Lake. Our faith has always stayed. And leave to live in style. And amply fill our souls. I still my fears can slough. My love will show no waning.